Lesser Jerboas live in the desert and steppe areas of Arabia, including sandy plains, gravel and stony plains, interdunal plains and sabkha margins.They are solitary and nocturnal in nature emerging at dusk from burrows used as shelter during the day. These burrows are one to two metres deep, and the Lesser Jerboas block their burrow entrances with vegetation or sand to prevent predators from entering and to maintain cool, humid conditions. There may be one or more additional exits off of the main burrow, and the nest is at the very bottom. They may remain sleeping in their burrows during the hottest summer weather. They have excellent hearing which helps them avoid predators. 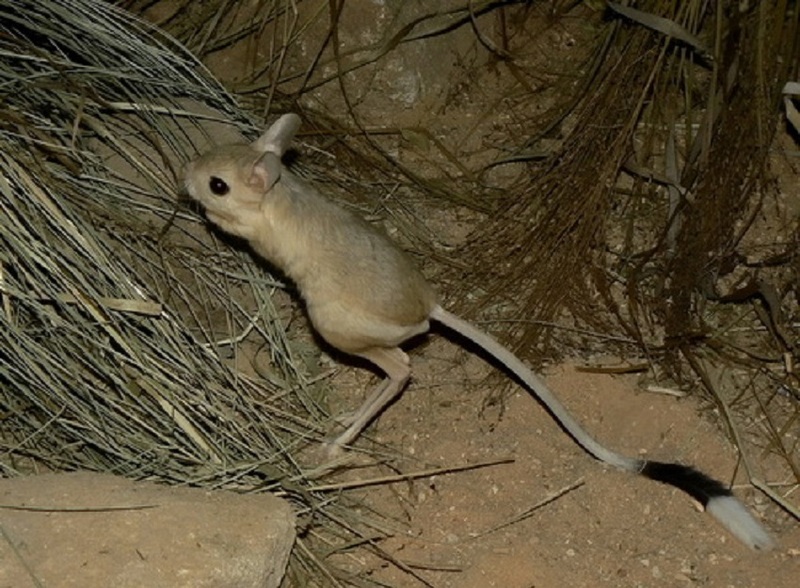 Lesser Jerboas can travel long distances in search of food, thanks to their large feet and hopping gait. Lesser Jerboas’ diet includes seeds, succulent parts of desert grasses, and fungi, and they do not need to drink. Breeding is known to occur twice or three times a year. A successful mating usually produces a litter of four to six young that are born after a gestation of 25 days. Babies are blind and deaf at birth and start to see when they are 9 days old and to hear when they are 5 days old. Hair starts to appear on their bodies on the fourth day after birth. 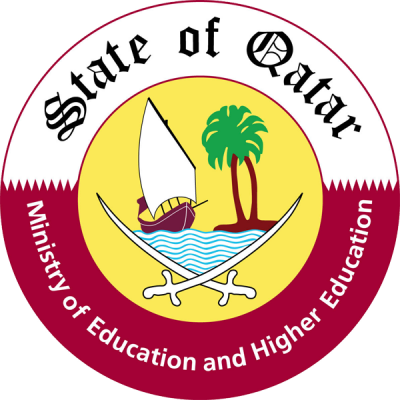 In Qatar, they are widespread desert and semi dessert areas. This attractive rodent has a large, rounded head, big, lustrous eyes, large rounded ears, and long whiskers. The hind feet are enormously elongated, with three toes, the central one being the longest. These toes have fringes of rigid hairs that conceal the digital pads. The forelimbs are relatively small, each with five toes. The tail is longer than the body, ends with a black and white tuft and is used as a counterbalance while hopping. The dorsal coat is of a pale or darker sandy colour with the forelimbs, lower cheeks, upper lip and ventral surface being white.